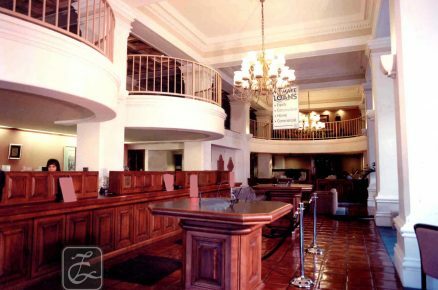 La Cumbre Savings Bank - Lawrence Thompson Architects, INC.
"Discovering a Rich Tradition Buried at the City's Heart"
This Administrative Center and Branch Office, 735 State Street, Santa Barbara, included a 13,000 sf. 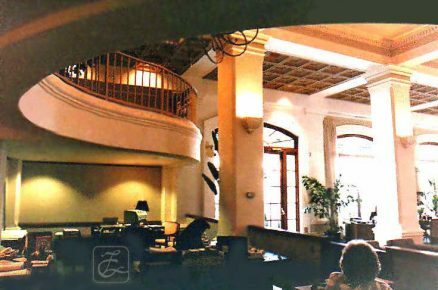 remodel of the Balboa building's first floor, and received a BIA Design Award for unique interiors. 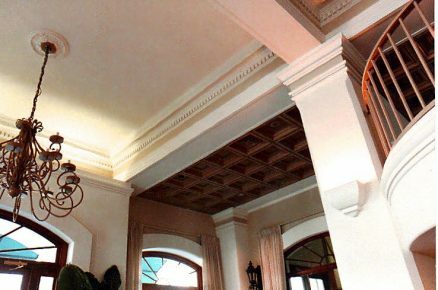 Mike McGuire, then President, urged preservation of the traditional ceiling and column mouldings of the original 1920's bank, then covered over with layers of drywall. 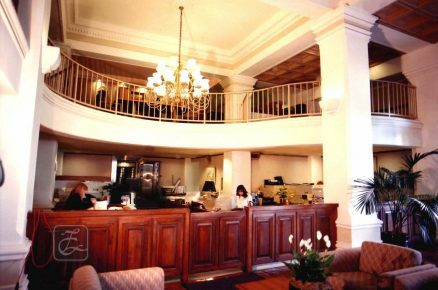 The result was a uniquely traditional interior, accented by a curving mezzanine and rich hardwood cabinetry, the bank gaining a symbol of quality and lasting value at a prime location.